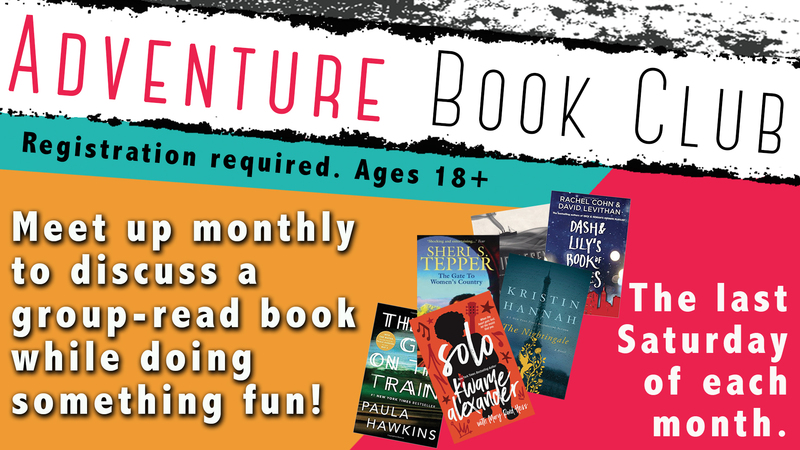 Adventure Book Club will meet the last Saturday of each month. We will talk about a group read book while doing something fun. Books will be provided and patrons should come by the library at least three weeks ahead of time to pick up their copy. This month's meet up we will be discussing Kwame Alexander's novel Solo. We will also attend the Tidewater Reads event Kwame Reads: The Main Event at the Slover Library in Norfolk where the author will be on site signing books and giving a talk! The Slover Library is located at 235 E Plume St, Norfolk, VA, 23510. Meet in the "Cuisine at Slover" dining area on the first floor at 2:00, where we will discuss the book and then find our seats for the main event.